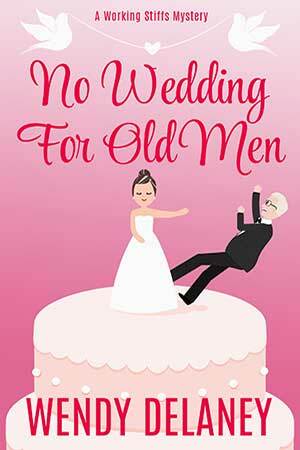 I know that stopping by to check on the availability of the newest Working Stiffs Mystery, No Wedding For Old Men, is probably the last thing on many mystery fans’ minds as we all ramp up for the holidays. But if that’s why you’ve popped in, I’m so glad that you did because Char and Steve’s continuing story, No Wedding For Old Men, is now available everywhere digital books are sold! Check the Books/Reading Order page for buy links for this new release or any of my books missing from your reading library. I hope you enjoy spending a few hours with Char, Steve, Marietta, and all your old friends at Duke’s Cafe. If you do, please leave a review. We sure would appreciate it! This entry was posted in 2018, Book News, Holidays, New Release. Bookmark the permalink.